Not long ago—this past Wednesday, to be exact—in a galaxy not so far away—ours!—nerds across the land celebrated the anniversary of the original “Star Wars” film. Wednesday was May 4—as in May the 4th be with you. Get it? 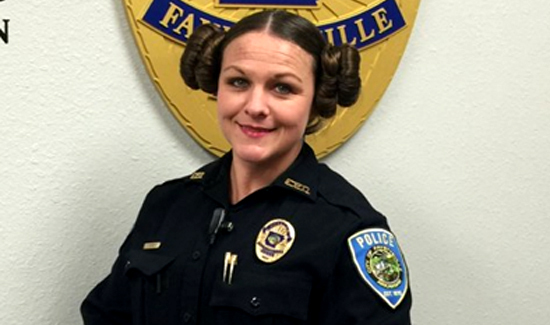 On May 4, it’s not uncommon for “Star Wars” fanatics—cops included—to show up for work dressed as characters from the film. Unfortunately, most officers have to work in unifrom. But that doesn’t mean they can’t celebrate in their own way. I worked with her prior to her going to Arkansas. She is a good person. She came back to her hometown and helped out in the cleanup effort after a tornado!